I have been thinking about jealousy, again, and the damaged people behind the emotion. 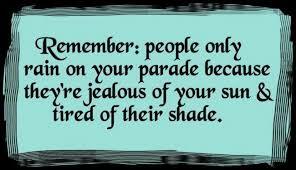 Jealousy seems to be an unstoppable plague blighting humanity and no one can escape it!!!! I Am King or Queen of My Castle and I Refuse to Surrender. A friend of mine has recently suspended her Facebook account; she has plenty on her plate at the moment, which has of course occurs as part and parcel of her fully developed and healthy adult life. However, one of the reasons she mentioned was how she was fed up with receiving persistent emails, and messages from people she had only known as a teenager. Now, I have had similar issues with Facebook; as good as it is to locate family and those you value as friends, it allows others to try to invade your space. Some of the people who might try to re-establish contact could be past friends, some could even have be your worst nightmare; the enemy that despised you, and the bully that ridiculed you making your life a misery. Can you trust these people to re-enter your adult life based on what you knew about them in the past? What are their motives to trying to gain re-entry into your life? I wonder if everyone is familiar with these types of people; the ones who harp on about the past, those who desperately desire to re-new a friendship that was only founded on a specific place and moment, also those who wish to try and re-establish their sense of greatness (‘look what I have been doing, aren’t you all jealous’), and of course the bullies from the playground? All these people you may have purposefully lost contact with (years ago), suddenly feel they have a right to wander back into your life, and act as though nothing transpired to make them, a friend from the past or just someone you had to suffer. Maybe you consigned them to the past for a damn good reason! It seems people are just so eager to parachute back into our lives; to pry, because they are guilty for their past actions, maybe because they have nothing else to focus on or perhaps they want to re-exert their dominance? Have they so little in their own lives that they have to cling to what was? Maybe they haven’t made a new life for themselves? Maybe they are fixating on what was, and are stuck in the same mind set and situations they were when you knew them? Maybe they want to feel a part of something more once again? If they haven’t moved on and experienced life, if they haven’t changed their ‘spots’, is it because they are too afraid to? How could they have managed to escape immersing themselves in life, maturing and developing into an adult? What I mean is, are they stuck, frozen in one moment forever; unable to escape that child or teenager perspective on the world? I call this ‘I’m the King/Queen of my castle’ syndrome, it is not uncommon. To explain; people like to feel important and it doesn’t matter whether they are billionaires, popular people in their neighbourhoods or the school favourite. If they have been or are deemed to be ‘top dog’ somewhere, sometime, by someone; this alters their view of themselves. When this self belief (view of themselves) is challenged by those who they bullied or those they classed as friends, because now those people they knew have more or have achieved more than them; these ‘Kings and Queens’ self beliefs are then set at odds. Suddenly their world is no longer rosy. People don’t like to think they haven’t achieved much by others standards, or that their enemies or playground victims have surpassed them. Yet, who is really judging them, and making them feel inferior; the child grown into an adult that they bullied, their old friend or themselves? Maybe in the real world, in another setting which is remote from their own, these ‘Kings and Queens’ begin to feel inconsequential? Perhaps they cannot cope with having to re-build their status or gain something new and different, so they have retreated from immersing themselves in new experiences. Maybe something which is outside of their comfort zone is deemed a scary place to be? Is it that they have built a wall of protection around themselves to always feel secure in their choices? If that is their choice, and they are happy, surely it is fine with the world; as long as they then leave everyone else and their choices alone? However, in my experience that doesn’t happen. If these ‘Kings and Queens’ do feel afraid of the new, of change and development, and they have made their choices to retreat to their castles freely; why then do they feel as though they have lost out, and become jealous of what they perceive to be a better life than theirs? Why is it people cannot just be happy and move on? What to they hope to gain from renewing a long dead connection or forgotten friendship? I admit that I feel sceptical when presented with these ‘Kings and Queens’. As I have mentioned already I have experienced this, and not just on Facebook either. 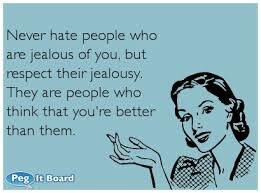 I have seen some pretty vicious and poisonous things occur through jealousy; from the friend of the past aimed at the person they feel has managed to move on and develop a healthy adult life, from those who were the bully, and also from those trying to re-exert their greatness. It is a frightening thought, as you can never truly know what ‘can of worms’ you will open buying into what is portrayed on the internet; especially with cases of internet bullying on the rise (not just children get bullied), not to forget those who have been stalked or even murdered. Seems dramatic, maybe not, not for those who have suffered as a result of what seemed to be an innocuous internet ‘friendship’. I will now ask the questions again; can you trust these ‘Kings and Queens’ to re-enter your adult life based on what you knew about them in the past? What are their motives to trying to gain re-entry into your life? Are they harmless individuals stuck in the past or an enemy, a danger lurking in wait?